NextHumphrey Bogart: The man, the legend and the falcon. The King of France Henry II was asked by Parisians to build a new bridge across the expanse of the River Siene as early as 1550. Unfortunately, the idea of a new bridge was just too expensive. Its delay somewhat irritated its citizens because many of Paris bridges including the Ponte Notre Dame were overburdened with street and trade traffic. Finally, a decision was made in the year 1577, to approve the project of the Pont Neuf by its new monarch King Henry III. Due to a host of delays and issues, it would take the bridge some thirty years to be completed in the year 1607 under the reign of Henry IV. Many Parisians agreed that the long anticipated wait for the inauguration of the bridge was definitely worth it. The magnificent new bridge was quickly adopted by Parisians, young and old, rich and poor as the new symbol of their wonderful city. Scenes of hustle and bustle became a common feature on the bridge. The flow of new traffic upon it was seen as a godsend to getting around the city especially to the left bank. The bridge also opened up the city to the residence on its right bank truly making everyone feel a part of Paris as a whole. Its most remarkable feature was its design to encourage pedestrians to walk over its length and enjoy the great views on offer. Originally in earlier designs the bridge was supposed to have been lined with shops and houses. How fortunate that these plans were altered making the Pont Neuf the city’s first celebrated monument without the distraction of dwellings upon it. It would remain Paris’ most celebrated monument for centuries arguably until the construction of the Eiffel Tower, in 1889. Today, it still endures as a wonderful symbol of Paris, where its stone facade on most evenings glows at sunset. Camille Pissarro’s Impressionist view of the Pont Leuf, 1901. 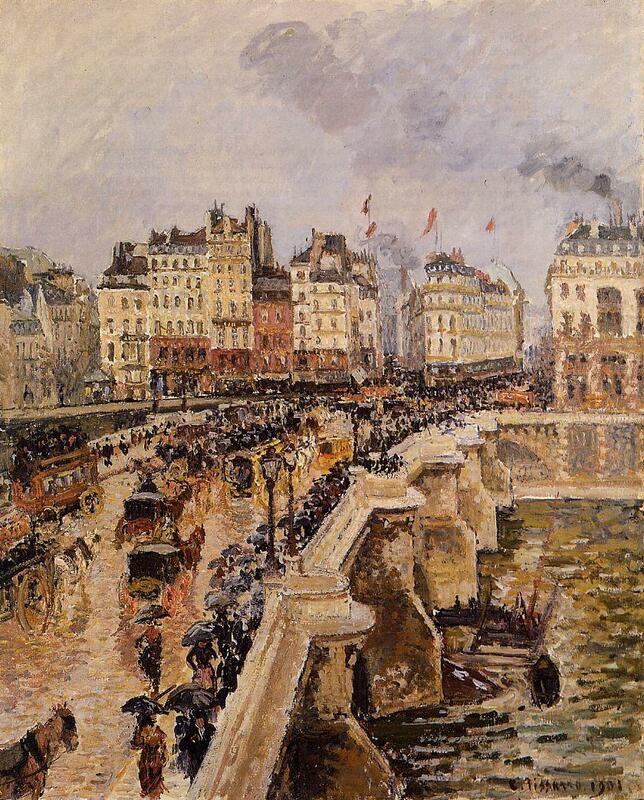 The header image of the Pont Neuf is used under the Creative Commons Attribution-ShareAlike 2.0 license.